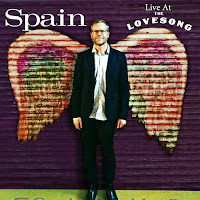 Not so long ago I reviewed an album I found on Noisetrade.com with a man with a darker voice and a hipster beard. For the life of me I can't remember the name, but will find out of course (Josh White). The music was folkish, the lyrics variations on a declaration of love for the Lord. That was a bit of a shocker, that I liked songs with a message like that. And now another album with a front like that. That is where similarities end. Smith may sing about faith, it's in a personal relationship and the Lord does pass by once. 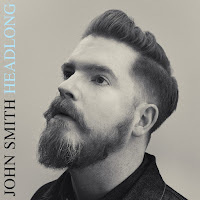 John Smith originally is from Devon in the U.K. With Headlong he released his fifth album, all self-released. "I don't think any label would work as hard at the job as I do", sounds like the true DIY mentality. Next to playing his own music, Smith plays as a touring guitarist for e.g. Lianne La Havas, David Gray and Lisa Hannigan. And so the impression of a hard-working musician emerges from the info I found on John Smith. Headlong is the kind of laidback singer-songwriter album that is in danger of just passing by after I put it on. Only when I pay truly attention to it, it comes alive. With a song like 'Possession' John Smith seems to enter the 70s. The song seems an amalgam of different singer-songwriters of the era and comes up with the best they could have produced together. With his somewhat rough voice, John Smith adds his own trademark to it. Then listen to how the electric guitar comes in. A little musical piece of heaven is shared with us toilers on the planet. 'Possession' is a true gem of a song. And as soon as I discovered this treasure, Headlong opened itself to me. The delicate acoustic guitar playing, the space in between it all, the arrangements. Above all John Smith's voice that rides the music like a surfer the highest waves, majestic and superior. Just don't expect anything new or revolutionary. 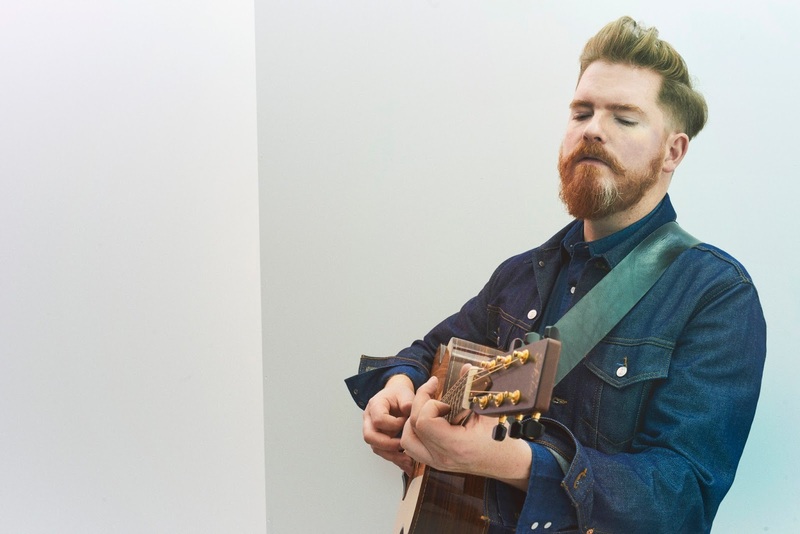 John Smith offers pure and decent songs. Songs that will endear themselves to you, given half the chance. Headlong is the kind of album that is ideal when that moment of the day or week presents itself giving you the moment to familiarise yourself with a new album. That moment when nothing else is expected. 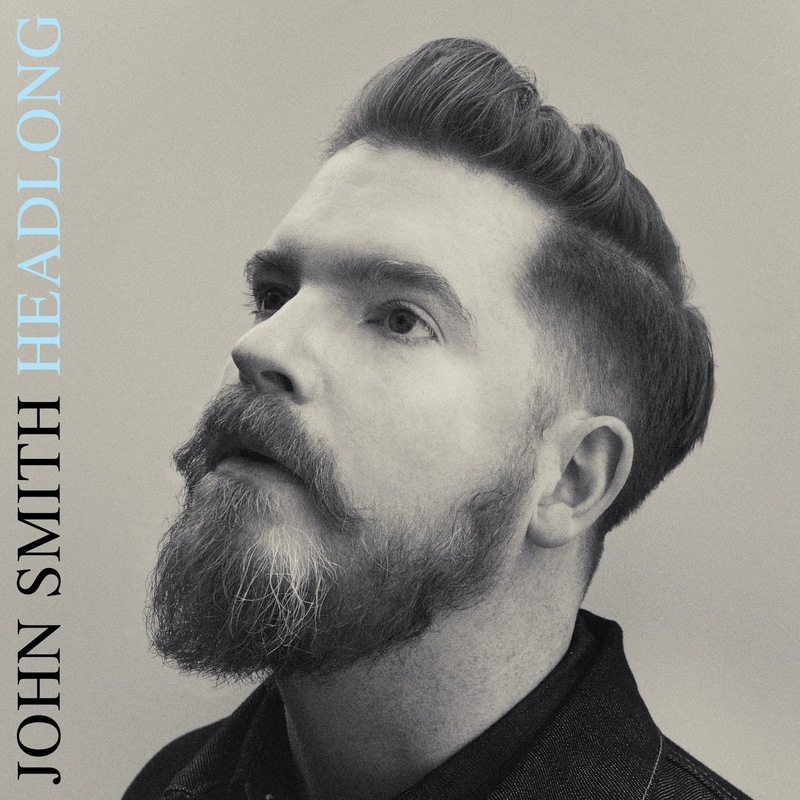 Put Headlong in the player, lock yourself away behind your earphones and sail away with John Smith. It will be a good 40 something minutes. Those who follow this blog will have noticed that I have written on releases on the Glaswegian label 319 Records. When the label owner tweeted about a new EP I mistakenly assumed that he released it. He pointed me to my error and to Gordon Harrow. His second EP Indian Giver was released earlier this year and follows his debut EP 'Dream Girl' from 2016. At first listen I was attracted to the music of Gordon Harrow. Somehow it provides the element that is missing in The New Pornographers' latest album, 'Whiteout Conditions': the fun of playing. The fun oozes from every note on Indian Giver. Harrow comes from Glasgow and has been playing there for some years before he started to release his work. 'Dream Girl' was produced by no one else than Ken Stringfellow (The Posies, Big Star mach II). Indian Giver holds loads of powerpop. It is loud, exuberant, full of interesting melodies and sung with a strong voice. Yes, the kind of music The Posies were great at circa 15 years ago and The New Pornographers are now. Gordon Harrow shows that he is a rock in sound as well. Do not expect to much subtlety in his approach of his music. Songs seem to be there to attack, fiercely. That could be disastrous, where my musical tastes are concerned. It isn't on Indian Giver, simply because the melody is always there. Melodies are the leading element in his music. The Beatles and The Kinks are at the basis what is going on here. From there we move to The Jam and U.S. post-punk bands like Blondie, The Knack and The Romantics, then Oasis and The Posies come into view. All this is thrown into Harrow's blender and out comes Indian Giver. What makes the music irresistible though is the fun combined with the energy Gordon Harrow obviously puts into his music. In search of the perfect powerpop song he seems to have found the well he can dip his songwriting skills in. Knowing how to build some tension into songs, dynamics are used in the right places as are the harmonies. e.g. the 'Make Me Smile' style ooh la la las. They add a great pop feel to 'Mercury'. It's all simply just there. Perfection graces these songs and I can't seem to get enough of them. If not for Thomas Miller's tweet I may never have heard of Gordon Harrow. Right now my life is enriched with four (actually eight) great songs. Thank you, Thomas and thank you, Gordon. I hope to hear more soon. Can't wait, if I'm honest. 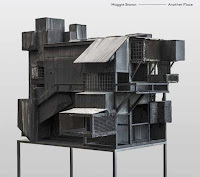 My introduction to Maggie Brown went by way of a review by Erwin Zijleman in 2014 that triggered me to listen and subsequently write my own review. 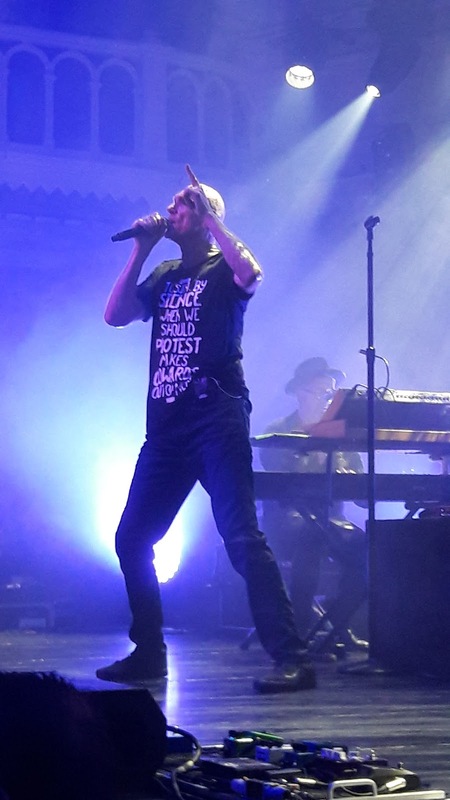 After that I did an interview with the band, was present at a live show, reviewed singer Marcel Hulst's solo album and release show. The result being that my expectations for this record are sky high. In 2014 I commented on 'Maggie Brown' that it easily was the best record from Dutch soil that year. So where are we three years later? The three pre-released songs already soothed any anxiety, if there were any, on my end and the first listening sessions with Another Place have convinced me only more how good Maggie Brown is. The album is filled to the brim with melancholy pop gems that are so good to listen to. The songs sooth my soul like only the best albums of this kind do. The kind of songs that make me feel that life is so much worth while living. (No worries there, people!) In other words, this is an extremely beautiful album. In atmosphere the album tends more towards Hulst's solo album under the name Mountaineer than towards 'Maggie Brown'. The small pieces of elation that album held have given way to a deeper level of introspection, without losing an inch of pop feel. The difference is that Maggie Brown is a band and all players claim their space within the songs and at times all together, building a song up, flashing it out. All songs on Another Place are pop songs of the most serious kind. The kind that demand listening, simply tell you to pay attention, as all will be lost without it. That is a serious demand in 2017 in a time when attention is one ping from dozens of social media away. (In fact I was interrupted right at this point.) Now I am from a time when we lived by albums. My friends and I could sing whole pieces of albums to each other. We listened to them as one piece of art. I am so glad that I still have that longing to do so. Most of my friends from back then have lost it long ago. I am so glad because this is exactly what Maggie Brown offers the world: a ten song piece of art. The music of Maggie Brown is always somewhat subdued. There hangs a deeply felt sense of melancholy over Marcel Hulst's voice. In his soft voice there is a longing for something that is no longer here or for what he knows will never be his to have. At the same time all the brilliant little details show that Maggie Brown knows that every cloud has silver linings and that when the sky falls down on us we will all wear a blue hat. This combination is one of the elements that attracts me so much to Another Place. The music makes me alert, makes me listen intensely and happy at the same time. I find myself with a smile on my face at least half of the time while playing Another Place. There is so much to enjoy on offer. This is a totally satisfying album by one of the best bands this country has on offer. It all starts with a modest intro, setting the mood and pace of the album. Hardly anything happens but what is pulls me into the album. After a short silence the drumsticks set the tempo and 'Silent Radio' presents itself in all its delicacy and intricate parts. Two guitars and the keyboards weave in and out of each other. How can a song about a senseless topic, silent radio, be so beautiful? I haven't heard the song for years, yet Marillion's 'Kayleigh' came to mind. Not in melody, nor in mood is there any similarity, so I can't explain it. 'Plane Crash' effortlessly continues this mood and interplay. It is 'Another Point Of View' that takes Another Place to the next level. Maggie Brown has put so much detail into the song. 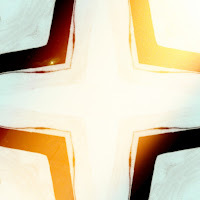 From an alternative pop song it slowly transforms into a light rocker in which all the instruments have their roles in flashing the song out, never losing the balance of the whole. The first single 'Hail To The Rain' is out for several weeks now and is one of the absolute winners on this album. Everything what Maggie Brown is comes together in this song. The band's soft side and its ability to lash out and work the inner dynamics of the song. The singing is superb and the changes in the song are of the kind that bring chills up and down my spine. The end is of the kind that I would like to go on for ever but stops abruptly. There's only one conclusion: this is sheer beauty in my ears. Not all songs can be this good. So it's inevitable that 'Loss Vs. Weight' is not as good as 'Hail To The Rain'. The good news is that the common denominator of Maggie Brown is at such a high level that there is nothing to worry about. 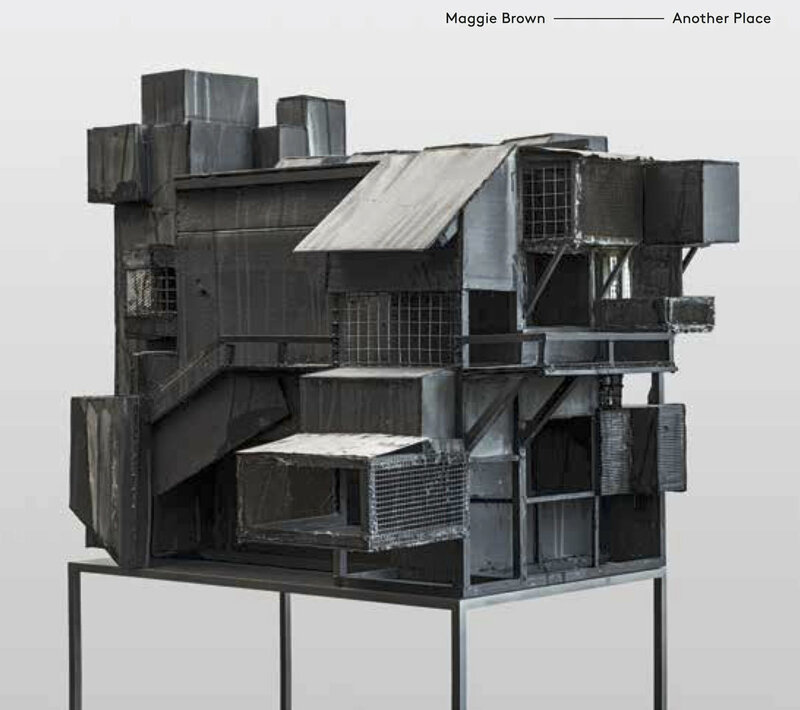 It is in 'Void' Maggie Brown really sets its sails. This 8 minute plus song starts off as an "ordinary" Maggie Brown song. After things go silent, I get the impression that this part started out as a jam session, until something of a structure rose from the bass and drums starting the interlude in the middle of 'Void'. First a single piano note mixes itself with the rhythm section, until slowly but surely the whole band rises to the occasion and creates the Maggie Brown variation of a sonic storm. Back to a structured song. 'Penny In The Long Run' is a Beatlesesque pop song with REM guitar playing. The song is more direct than what came before. The guitar sound is different, the snares are attacked and not stroked, giving them a more snapping sound. This song would have profited though from a The Beatles 1963 length song. Without the last repeated refrain it would have been brilliant. Now "only" more than nice. The title song is of a dreamy quality that Maggie Brown seems to have a patent on. Despite the fact that it is one of the louder songs on the album, 'Another Place' hovers. Like not from this earth and barely noticeable. A song that reminds me at the same time of Elenne May, that other band from Amsterdam I like so much. Both are able to put more into a song than strictly necessary without losing essentials, but add to them so that their songs come out more beautiful. When the lead guitar enters 'Another Place', the song is lifted and about to take off for that far off galaxy it came from. It all ends with a piano introduced song, 'Hummingbird'. Again only one band comes to mind, The Beatles. 'The Long And Winding Road' to be exact. And while listening to 'Hummingbird' the realisation strikes me that I like this song so much better. 'Hummingbird' is the perfect ending to this album. The kind of song that can bring tears to my eyes. No lyrics in the final part, so let's bring in 'Hey Jude' as well. That happens to be my first self bought single and what can beat that experience? Nothing. That aside this song is perfection. Like 'Hey Jude' is perfection. Maggie Brown, I think I can not give you a finer compliment than this. A new album by a band I like is always something to look out for. Exciting and worrisome at the same time. There's always this nagging little voice in the back of my head asking me "will it be good enough"? No need to worry any longer. Another Place is all a Maggie Brown fan could wish for and more. A few songs go over all that went before. On 1 July the album release party is in De Nieuwe Anita in Amsterdam. I look forward to being there. Enige maanden terug, bij het huisconcert van Elenne May te huize Wo., vertelde HareD Wo. dat hij naar Midnight Oil ging in de zomer en dat hij maar snel kaartjes moest zien te krijgen. Het concert in Vredenburg circa 1993 indachtig, deed Wo. dat ook, maar helaas: het was al uitverkocht. En toen kwam een mailtje binnen met de kop "stukje! je hebt echt wat gemist, spijt het mij te moeten zeggen!". Au! Hij zal het hiermee moeten doen. Wat een band, wat een verhaal, wat een muziek. Veruit het beste concert in tijden. En ik ben toch best verwend op dit vlak. 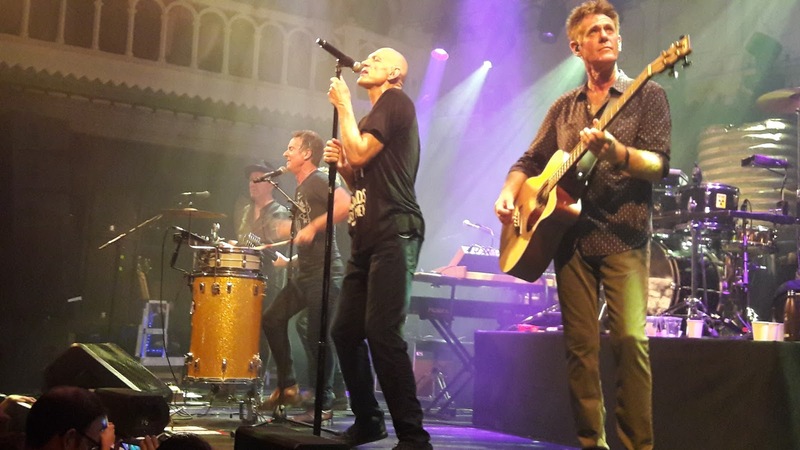 De muziek van Midnight Oil kwam met hun enige Nederlandse hitsingle Beds are Burning (1988) in mijn leven en is nooit meer verdwenen. Mooie herinneringen. Ik had de heren in de jaren negentig twee keer gezien. In 1993 in Vredenburg en vervolgens in het vermaarde theater The Forum in Londen, najaar 1996. Of bijvoorbeeld het tientallen keren afluisteren van het cassettebandje van hun live album Scream in Blue. Op de walkman, tijdens de lange dagen in de bus, kriskras door Australië. Er waren zelfs vriendinnen die hun muziek mooi vonden, wow! (sowieso een zeldzaamheid, vrouwen die mijn muzieksmaak delen, maar ja, dat is weer een heel ander verhaal). Opgericht in 1976, eerst alleen populair in hun thuisland, maar met hun zesde album Diesel and Dust uit 1988 kwam het grote internationale succes. Fervent voorvechters van rechten voor Aboriginals, betere milieubescherming en felle strijders tegen kernenergie. Eind 2002 gestopt, omdat zanger Peter Garett de politiek inging. Eerst als parlementslid, later werd hij minister, eerst van milieu, later onderwijs. Een paar losse optredens tussendoor, maar verleden jaar kondigde ze ineens een wereldtournee aan. The Great Circle, letterlijk de hele wereld rond, begonnen in Brazilië, vervolgens Noord-Amerika, nu in Europa aangekomen. Later door naar Zuid-Afrika, Singapore en weer terug de Verenigde Staten, om vervolgens af te sluiten in Nieuw-Zeeland en Australië, met de laatste show in thuisstad Sydney op 17 november. Zijn ze acht maanden op pad geweest, de zestigers, en de meeste shows zijn stijf uitverkocht! 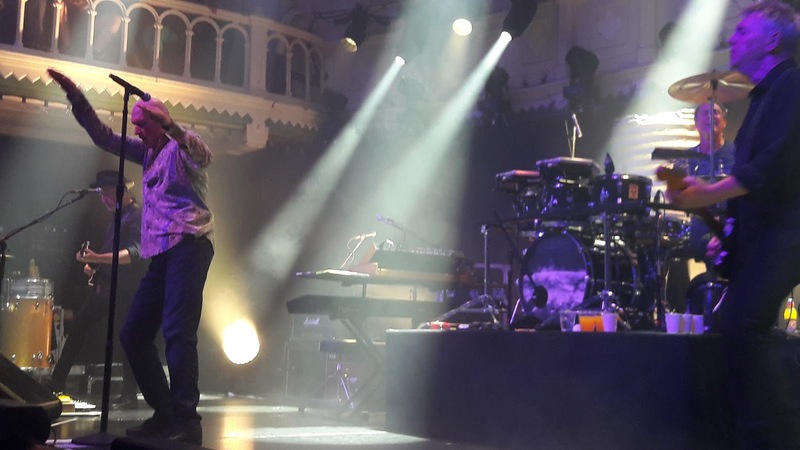 Zo ook in Paradiso. Ze zijn natuurlijk wel wat gewend als Aussies, maar de hitte was groot en toch speelden ze twee uur en een kwartier op volle kracht, met slechts korte pauzes tussen de twee toegiften, en ook maar twee of drie gedeelten met rustigere nummers. Garett bleek ook zijn min of meer spastische manier van dansen nog niet verleerd. Het was dus vooral op volle kracht vooruit, met alle fantastische nummers die zij door de decennia hebben gemaakt. Van Progress en Truganini, tot Read About It en In The Valley. Forgotten Years, Dream World, Beds Are Burning, Blue Sky Mine, Sometimes, Now Or Never Land, Harrisburg, The Dead Heart. En nog veel meer moois. In de tweede toegift ook het epische Power And The Passion, met de mooiste trompetsolo in de rockmuziek. Kortom: het was zo mooi, zo heerlijk, zo gaaf, zoals je het maar zelden meemaakt. Tjonge, wat een feest. It is not every day that I have to take the title of an album literally. 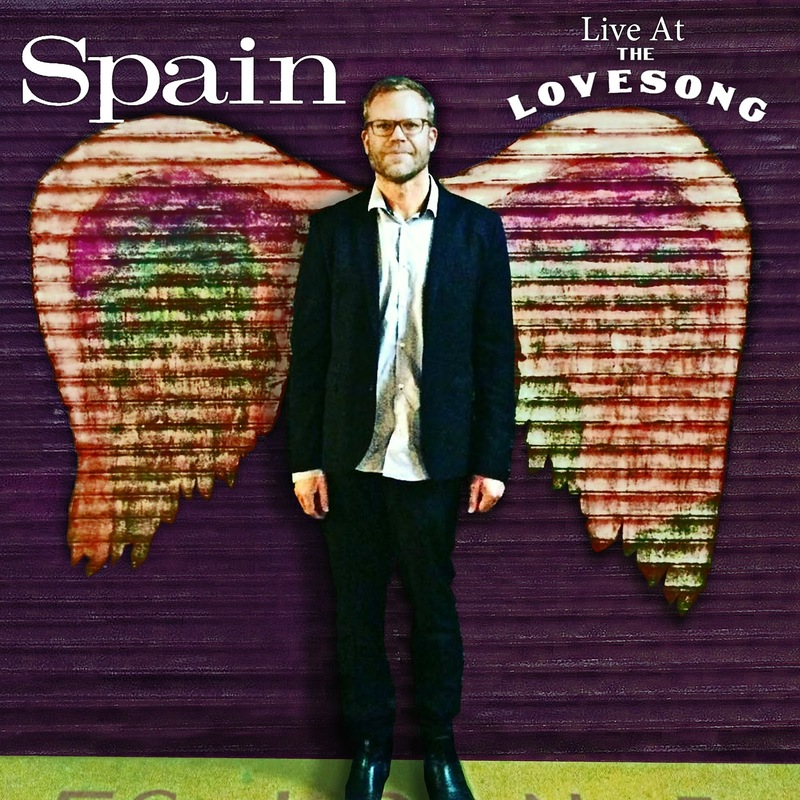 Apparently Sven Agaath debuted with an album where shoegaze rock and reggaeton were combined into an enthusiastic mix called shoegaton. Yes, that is kind of hard to imagine, not knowing the album. 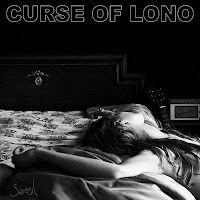 Having tossed the Latin part out, the duo is back with an album filled to the brim with just loud rock. Sven Agaath is guitarist and singer Gino Miniutti and drummer Arno Breuer from The Netherlands. The duo presents an oral trip that is beyond doubt interesting to follow. Not that I like everything that's going on here, sometimes things go so far over the top that my ears reach a point of protest. Taking in the whole picture it's very worthwhile to ride out these moments of sonic storms. Something special is going on every once in a while that sets Sven Agaath apart from the fold. Now I can start writing pretentious things like some people like to do, but at this point in time I think down to earth does the trick. 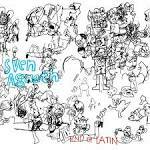 Sven Agaath produced a fine rock album and took care of the roll in all the right places. This is the gist of it. The band has obviously listened to many bands of the pas two decades, from Foo Fighters to Smashing Pumpkins and back and took out all the parts it liked to build its own version of alternative rock. It's not that Sven Agaath knows no subtleties, it does, but my overall impression is that of a mammoth tanker, going ahead at full speed. Whatever happens it will be awhile before it is off course. Let alone has stopped. Each song sets a pace and off the duo is. Now an organ could be added or some electronic sound, another guitar, even a lot of experimental sounds can be added, but nothing much is holding the core of the song back. Steady as she goes, helmsmen Breuer and Miniutti. End Of Latin as a whole is alternative enough to be interesting and has experimental moments that surprises its listeners at the right moments. In that sense the album definitely is not so straightforward. This combination leads to a rocking, but rather wobbly song like 'Razor'. In fact, when the album progresses more and more interesting things happen. Start at the beginning and you'll start noticing them as well. It is near the end of the album, that the most surprising things happen. All of a sudden there is a dance influenced synth and a keyboard melody. In the title song a goodbye to the former incarnation of Sven Agaath is given. Final song "The Handwagon' brings back all to normal on End Of Latin. Taking it all in once again Sven Agaath reminds me a lot of my Italian friends Bongley Dead. Just as adventurous and capable of writing and playing great rocksongs. The album is released as a limited edition, coloured cassette. Something very special indeed, for those still owning a cassette player! Help! Help! is out for only a few months and Moon Moon Moon surprises the world with another full length album. Like there is no time to waste. And there isn't, I'd say, hearing what I'm hearing. If you have something to share, share it before it's too late. Especially if it's this good. 'Help! Help! ', unlike Oohohoo released on Tiny Room Records, met with a favourable reception here on WoNoBloG and the releaseparty found it's way here thanks to .No's review. So now Oohohoo. Out since 1 June already, I have been able to digest the album over the past few weeks and found that it became more fun to listen to with each new listening session. Although the atmosphere of Moon Moon Moon is instantly recognisable, Oohohoo has definitely more upbeat songs on it. 'Help! Help!' was far more contemplative. The motto Moon Moon Moon gives on its Bandcamp page for Oohohoo, where this beautiful piece of work can be bought from €1 upwards, is self-explanatory: "Please drink lemonade with this album and take it with you on vacation". In other words, substitute the lemonade for your drink of choice and "a splendid time is guaranteed for all", to quote the lyrics of one of the songs of an album that celebrated its 50th birthday on the date of release of Oohohoo. There are no coincidences, people! In fact that splendid time is guaranteed on Oohohoo. That starts with people who enjoy the best songs released by Bright Eyes. I'm reminded of them most of the time. That has to do with the voice of singer (and all else) Mark Lohmann. The musical idiom certainly is not unlike, it is his voice that could fool me easily. There's a significant difference though. For most of the time I like the songs of Moon Moon Moon better, than the oft dismal songs of Bright Eyes. The mood of Moon Moon Moon sits a lot better with me. My song of point being 'Room'. A great song that could well be the essence of Lohmann's life, working on his art in his room, waiting for his "real world skills" to arrive by an act of magic one day. The song is so upbeat, so strong and in fact is a strange but beautiful love song. At the same time the song has so much humour in it and self-knowledge. One of the pure gems on Oohohoo. Which also holds the title "song". What is he doing there? Recording himself outside of his house? Yes. Standing beneath the window of the person he's singing about in 'Room'? It's nice to fantasize here. The music I am hearing is all composed and recorded in Lohmann's home, "bedroom recordings" I read somewhere. Be that as it may, I can't find much at fault with this recording. In fact several of the songs give me real joy. 'Leaking Rowboat II' is such a fantastic song. It simply twirls. A lot happens here and it is all in the right place. So much going on and a few simple piano notes end it all, while the twirling goes on around them. Not all songs necessarily go in a linear line from A to B. Expect them to visit A1, C or R8. Some unexpected twist may be there, but they all work. Even if they surprise at the start. The song takes them up and continues incorporating the new theme. This way Oohohoo keeps me on my toes, alert and surprised. Expect some soundscapes or sounds in between, paving the way to the next song. Expect something very busy to go back to a guitar only, before "all" return. 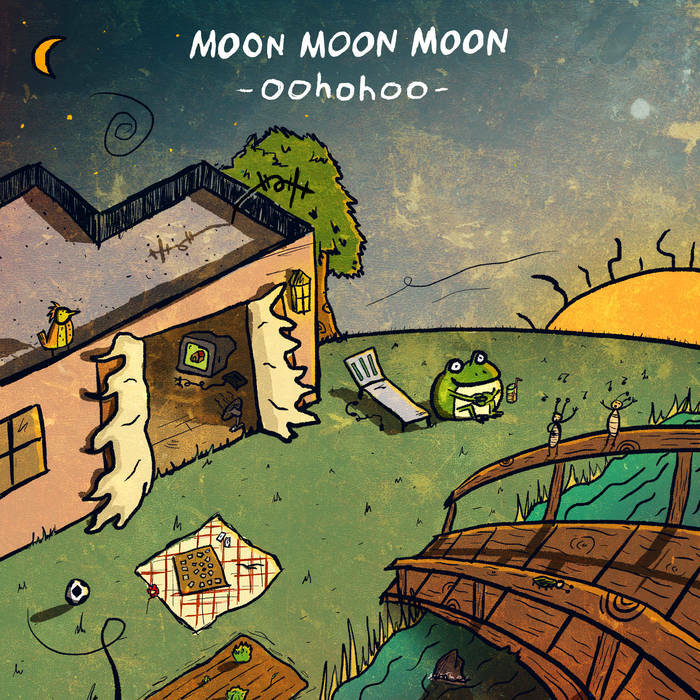 Oohohoo is the second album by Moon Moon Moon I've run into and again I'm impressed. From that bedroom in Heerhugowaad some very interesting music is pouring forth in a tremendous tempo. If Lohmann continues in this tempo I can review at least one more album this year. 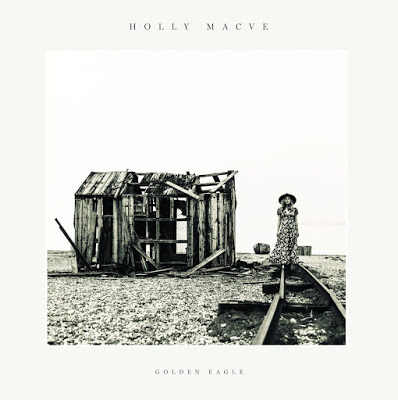 Toen de eerste noten van Golden Eagle van Holly Macve uit de speakers kwamen, moest ik eerlijk gezegd wel erg aan Lana Del Rey denken. Dat vind ik persoonlijk niet zo erg, maar het is in rootskringen waarschijnlijk geen pre. Hoewel associaties met de stem van Lana Del Rey meerdere malen op zullen duiken bij beluistering van het debuut van Holly Macve, wil ik de vergelijking met de Amerikaanse popdiva ook direct weer intrekken. Holly Macve, een in Ierland geboren maar in Engeland opgegroeide singer-songwriter, maakt immers totaal andere muziek dan Lana Del Rey en zet haar stem uiteindelijk ook totaal anders in. Op Golden Eagle domineren traditionele folk en country, maar het debuut van Holly Macve is zeker geen dertien in een dozijn rootsplaat. Dat ligt voor een belangrijk deel aan haar bijzondere stem. Het is een stem die zo lijkt weggelopen uit vervlogen tijden, maar het is ook een stem met veel emotie en een in countrysongs altijd goed uitpakkende snik. Het geeft de songs op Golden Eagle flink wat emotionele lading, maar ook een bijzondere intensiteit. Ook de muzikanten op de plaat dragen er aan bij dat Golden Eagle er uit springt. Voor haar debuut werkte Holly Macve samen met Paul Gregory, die vervolgens zijn band Lanterns On The Lake inschakelde. 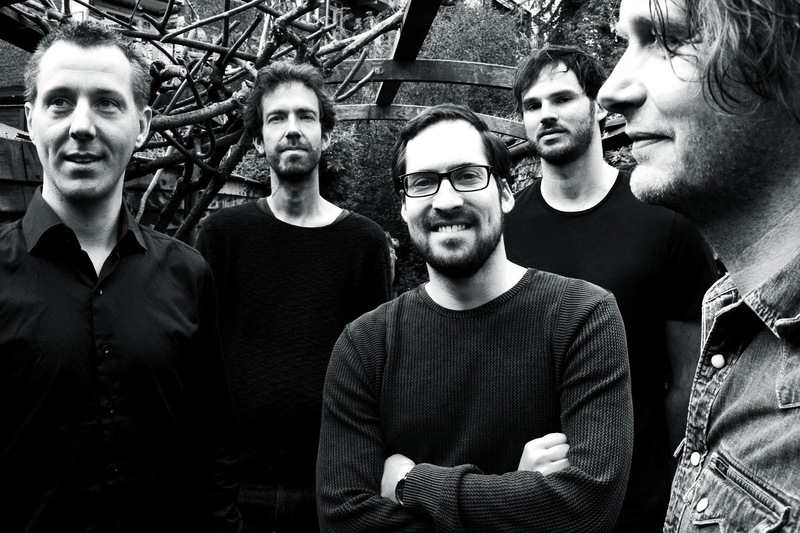 Golden Eagle sluit deels aan bij het standaard roots instrumentarium, maar klinkt vergeleken met de gemiddelde rootsplaat wat dromeriger, atmosferischer en ook wat spookachtiger. Verder speelt de piano een cruciale rol op de plaat, wat Golden Eagle voorziet van veel melancholie. Niet iedereen zal de snik in de stem van Holly Macve kunnen waarderen, maar persoonlijk vind ik het echt prachtig. Golden Eagle sluit aan op de klassieke countryplaten van zangeressen als Patsy Cline en Kitty Wells, maar heeft ook raakvlakken met de platen van de obscure folkies uit de vroege jaren 70 of de muziek van de groten uit de alt-country. Dankzij de associaties met de stem van een niet meer met naam te noemen popdiva, klinkt de stokoude muziek van Holly Macve op een of andere manier ook nog eens modern. 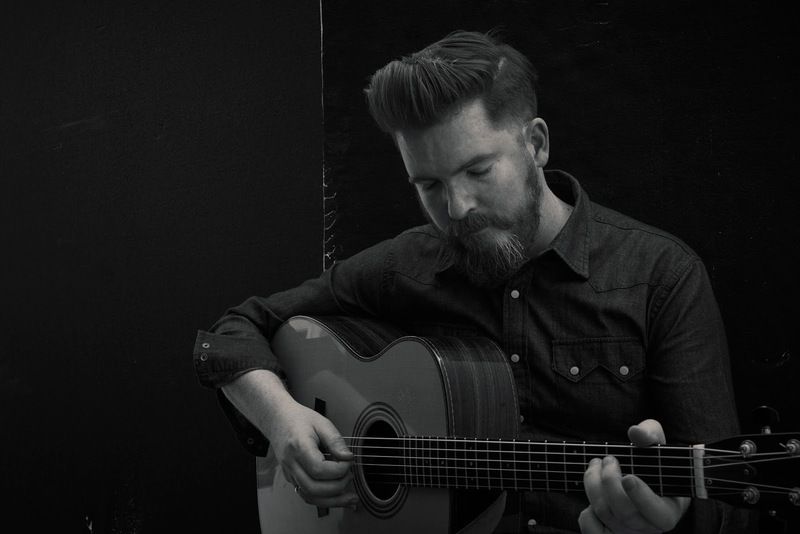 De Ierse singer-songwriter kent haar klassiekers en komt op de proppen met tijdloze songs. Het zijn songs die door haar indringende vocalen tot leven komen en vervolgens diep onder de huid kruipen. Het debuut van Holly Macve krijgt tot dusver niet overdreven veel aandacht, maar ik kan me eigenlijk niet voorstellen dat deze dame over een paar jaar niet heel groot is. Haar debuut is immers een wonderschone plaat vol grootse songs. Indrukwekkend. Bijzonder indrukwekkend zelfs. The difficult third album? Most people in the world seem to think so. For things are somewhat different here. When the whole world broke out in jubilation over alt-J's first album, I was left behind in wonder. What am I hearing? I did and up to a certain extent still do not hear what makes 'An Awesome Wave' so good. At best I've learned to listen to it. It was with the second album that I totally fell for the band. 'This Is All Yours' by now is one of my favourite albums ever and played so much all through 2015 and 2016. My first, new vinyl album since the late 80s. So I was rather looking forward to the new album. And less "afraid" as I do not have to compare it to that grandiose first album. My first impression while listening is that RELAXER is an adequate title for the album. The mood is very laidback in several songs. Almost a modern version of medieval church music. So solemn and tranquil. At the same time a lot of things are going on which were beyond imagination only a few decades if not years ago. The three musicians of alt-J combine instruments and sounds that simply did not exist at the time or combine them in new ways, making its music fairly unique. On RELAXER the past and the future meet in the here and now. Several songs hold much more traditional instruments or at least more obviously than before. It is in the singing that the future comes in. It's almost as if robots are singing for us. And behind that all the electronics come in. Sounds, soundscapes. weird melodies that jump around and impede on tradition. Together it all makes up the fabric of what alt-J is. '3WW' is the opening song. I hear an acoustic guitar play just sparse notes. Around and behind it forms of (electronic) percussion plays, sounds, mystique. If taken at just face value, nothing happens here. When emotions are allowed in, '3WW' is a perfect opening song for Relaxer. That Medieval feeling is in the singing. The song builds on what went before, but also is more minimal. There's simply nothing extra in '3WW'. Not even in the title. It could have dropped one W, but that's all. Ellie Rowsell of Wolf Alice can be heard further on in the song, adding something really extra to it. 'In Cold Blood' is more alt-J of old, but again it is not. Horns enter the picture. It is the rhythm that is familiar and Joe Newman's voice of course. There's nothing like it in modern rock. All things are binary these days. Like the way Spotify sends this music to me. Joe Newman sings the digital in his robotlike voice, ones and zeros. 'In Cold Blood' is the most famous book by the late Truman Capote. On RELAXER it becomes one of alt-J's anthems. Puffed up, large and pumping in that weird way that sets this band apart from nearly all others. Making it far larger than most of the songs around it. The weirdest song and most surprising one on the album is the ages old 'House Of The Rising Sun'. Made famous by The Animals in 1964 and rocked out loud by Frijid Pink in 1970. Now the song gets the full alt-J treatment. Why? Is that a relevant question? Not really. The song is changed almost beyond recognition and gets a new rendition. By then I know that RELAXER is not going to have the impact 'This Is All Yours' had on me, but then how can it? RELAXER is the new alt-J and has the sounds, the changes, the moves that I want it to have. So it's not a masterpiece, but it is an album that I'm going to have a lot of fun with for quite some time. At the first instance it will be the newest vinyl in this home. No doubt there. What this album does, is trigger my imagination, It makes me listen to all that is going on, all the sounds hiding somewhere. All these little extras. The big strings that move in. Weirdness, normality, sanctity, fiendish, keeping close and expulsion. It's all in the collection of 8 songs that make up RELAXER. alt-J has moved beyond what is has been before. There's familiarity but also a new mood that spans centuries. And capping that is what makes RELAXER a triumph. How this is going to be played live, is beyond me, having seen the trio with its hired bassist in 2015. Sort of impossible. 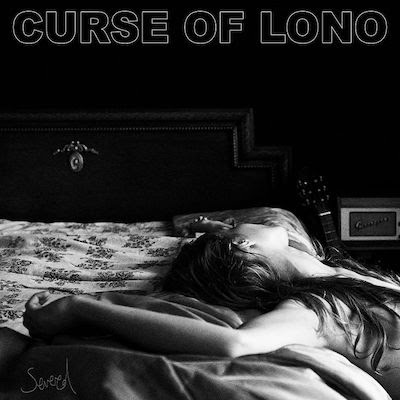 'Last year' features Marika Hackman on lead vocals. Another of these songs that just slowly move along, like the water flowing tranquilly in the smallest and slowest of brooks. While the song references (the mighty) Mississippi. A very nice difference. RELAXER goes out with a near classical composition. As relaxed as the title, until the weirdness is let in. A little like 'Being For The Benefit Of Mr. Kite!' The music starts twirling around my head, spinning me around. A whole choir enters the whole. An orchestra and a choir that never met, the one recorded in Abbey Road, the other in a cathedral in Ely. Majestic 'Pleader' becomes a great ending to what is a great album. alt-J has done it again. Surprised me and conquered me. It's 2017 and like when I recently reviewed my first ever album of Robyn Hitchcock, now I'm reviewing my first album, in whatever guise, of Thurston Moore. Despite being about the same age, as far as I know I never heard one of his records. Somehow all descriptions of Sonic Youth's albums didn't agree with my taste at the time, so I never tried one. So here comes 2017 and I find a Thurston Moore record in one of the many digital delivery services I am allowed into these days. So I neglected it for a while. And with good reason too, I thought. Curiosity got the better of me though, so I took a listen and much to my surprise I took another one and then another. Rock And Roll Consciousness is an album on which many different styles of rock come together, but most can be traced back to the time new wave raged in the streets of New York, to be picked up, left behind and mixed with an ever so light psychedelic sauce in the (treatment of the) singing and barely traceable elements of symphonic rock in the way some songs are structured. Add some jazzlike solo textures, some jamming and experimenting and finally The Velvet Underground rhythms and I am getting closer to a description that does justice to what is going on here. This starts in the 11.33 minutes of opening song 'Exalted'. Layer for layer the song is built up. Guitar after guitar (melody) enters in an intricate composition that slowly plays itself out into a hugely expanded song. 'Exalted', like the state of mind, is not in a hurry to make its point. Slowly the pace quickens and the space in the song narrows down to one focal point. Taking my time in turn, by following the slow changes, I am sucked into the song and ride the waves of change with Thurston Moore and his musicians. And then, finally a lead guitar enters. Like the one in 'Tubular Bells' does after minutes and minutes of interplay of all these instruments. Throw in a dramatic change before the singing starts after the longest of times and I'm approaching a musical high. That part is so direct, that it's almost another song. Drums and bass driven with a strong rhythm guitar. Not unlike the strength of The Velvet Underground. And then it all ends with something Marillion could have played in the 80s or The Who in the early 70s. So now you know where this prog notion of mine comes from. With 'Exalted' Thurston Moore touched upon several interesting musical themes, perhaps stumbled upon while just jamming in the studio or not. All these different themes come together in one large piece, that certainly opened me to the rest of the album. In 'Cusp' it is the rolling drums of Steve Shelley and the bass of Deb Googe that carry the song. A 'Road To Nowhere' rhythm allows for a very tough pace. Where the guitars either follow the pace or go sort of nuts in the background. James Sedwards is unleashed here and there alright. Over this all Moore sings like a male siren, with his light voice that more rides the music than dominates it. Either it is this voice or a grunting maniac that could go with this song. There's simply no in between I think. With 6,30 minutes 'Cusp' is another long song and with the 10,17 minutes of 'Turn On' it does not get any better for those loving pop songs under 2,30. 'Turn On' is another song that plays itself out over a long period. Small changes come in with every few measures. One of the chord sequences is of the mesmerising kind that I would like to hear forever. Like the solo at the end of Bowie's 'Boys Keep Swinging'. It could go on forever as far as I'm concerned; and doesn't which is it's strength. 'Turn On' does go on, so allows for mood changes at the right points in time. Again prog enters my mind as does Frank Zappa in Sedwards' guitar solo in the song. The tone certainly has that direction. In the meantime it is Steve Shelley's drumming that really decides what is played and how loud. He picks up and sets the drive and stamina of the song. With two more songs of over 6 and 8 minutes to follow Rock And Roll Consciousness is all but over after three songs lasting close to half an hour. And it isn't as if I'm hearing something completely new. No, several things I'm hearing please pleasant memories lurking somewhere in my head. Like the opening guitar of 'Smoke Of Dreams' brings me back to Nirvana. The way that legendary band could start a song before exploding. Thurston Moore wisely does not follow this track. Restraint is wise here. It is Sedwards who is set free again to play a beautiful solo over elementary chords and rhythm. It all sounds so familiar, yet so good, that I'm again surprised by what is going on here. The album closes with a song about the woman who walked out of the sea of legends in what is now Cyprus, 'Aphrodite'. By then I have a tendency to have heard enough I notice. Yet, also hear how powerful the song kicks in after the intro. So in the end we are alright. It's nice to be surprised every once in a while. Rock And Roll Conciousness did just that. Accompanied by a set of fine musicians Thurston Moore has made a fine record on the verge of experiment and rock keeping the right balance the whole time, so very worthwhile listening to. Mein Deutsch ist gut genug für eine Conversation am Stamtisch, aber nicht so gut das ich mich an eine Review ins Deutsch wage. Also gehe ich nach Niederländisch hinüber. Hoeveel fouten zitten hier alleen al in? Het erge is dat ik eigenlijk geen idee meer heb, zoveel jaar na mijn eindexamen. Waarom dat Duits? Omdat ik na Rammstein eerder dit jaar mijzelf voor de tweede maal aan een recensie van een Duitse band ga wagen. Of in ieder geval een die in het Duits zingt. De Zwitserse Sophie Hunger tel ik niet mee, want zij zingt, af en toe, in een onverstaanbare Zwitserse variant. Die Nerven is een punkband uit Stuttgart, een trio en actief sinds 2010. Out is hun derde album na 'Fluidum' uit 2012 en 'Fun' uit 2014. Out is al geruime tijd uit, maar voor mij een volkomen nieuwe plaat en wat voor een. Door de weken heen merkte ik dat ik de plaat telkens weer opzette nadat ik hem bij Glitterhouse Records tegen kwam. Uiteindelijk zo vaak dat ik besloot er toch nog een verhaal over te schrijven. Het kan aan mij liggen, maar ik had nog nooit van Die Nerven gehoord, dus dat zal wel voor meer van mijn landgenoten gelden. Een ieder die houdt van alternatieve rock met een opstandig, punky randje moet volledig aan zijn trekken kunnen komen op Out. Dat begint met het lekkere geluid dat de hele plaat kenmerkt. Er is goed nagedacht over de balans tussen de instrumenten en tussen de nummers onderling. Dit maakt dat regelmatig mijn oren opveren zodra een nieuw nummer begint. Hé, wat gebeurt er nu weer? Een teken dat Out mijn attentie telkens weer weet te vatten. Een van de meest indrukwekkende momenten is in het derde nummer, 'Jugend Ohne Geld'. Het is dreigend, de instrumenten spelen hier allemaal een prima rol in, terwijl de zang het unheimische nog even verhoogt. De bas speelt een melodie, de gitaar hamert er een paar noten in en neemt het soms over van de bas. Daaronder een zachte drum. Totdat de storm losbreekt en het nummer explodeert in een orgie van geweld. De jongeren zonder geld die de straat op gaan en hun gelijk halen? In zijn soort is 'Jugend Ohne Geld' een monumentaal nummer. Voor even laten Die Nerven alles dat achter het achterste van hun tong zit zien. Als braaksel dat een mond uitspuit op weg naar herstel en je beter voelen. Om die contrasten tussen de nummers eens goed te onderstrepen, begint nummer 4, 'Dreck', met een stevige gitaarpartij, die de luisteraar direct weer bij de les roept, mocht hij even afgehaakt zijn na de uitfadende orgie van geweld hier vlak voor. Ook 'Dreck' heeft een bas- en gitaarpartij die ik direct, absoluut helemaal top vind. Alles klopt gewoon, zonder elkaar in de weg te zitten. Dat is waar de mix van Out volkomen recht doet aan de muziek van Die Nerven. Het zijn drie instrumenten, die samen een perfect geheel vormen. Zanger (en bassist) Julian Knoth heeft precies de juiste stem voor de muziek van Die Nerven. Er klinkt een mix door van boosheid, afstandelijkheid, betrokkenheid en de schijt aan alles, die punk zo kenmerkt. Zijn bas zorgt voor een prachtige unvulling op het gitaarwerk van Max Rieger. Zoals het in een triobezetting moet zijn om vol te klinken, is de bas deels ook een soloinstrument. Kevin Kuhn houdt de zaak op drums prima bij elkaar een stuwt de andere twee voort. Die Nerven zijn ver voorbij punk. Ik kom toch meer uit op alternatieve rock. Anderen noemen het post-rock, maar ik kan me daar maar moeilijk iets bij voorstellen. 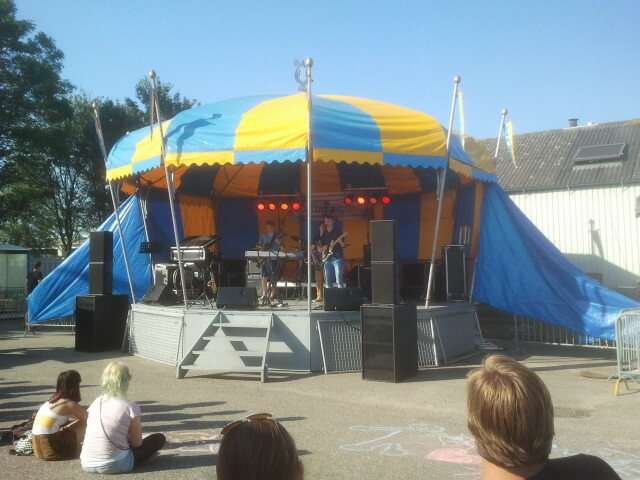 Die Nerven rocken er op Out heerlijk op los. Hier in Nederland komen Rats On Rafts in de buurt, maar die zijn veel radicaler in hun muziekuiting, waar de gitaren, zwaar vervormd, alles in hun weg doorzagen. De instelling en bedoeling achter de muziek, daar komt het zeker bij elkaar. Die Nerven zorgen juist voor veel lucht in hun muziek en de mix, waar een compliment voor Ralv Milberg en Max Rieger op zijn plaats is. Out is een album, dat mij heerlijk heeft verrast. Het is dan wel anderhalf jaar oud op dit moment, het verdient iedere seconde aandacht. Als het nu was uitgekomen, had het een plekje op mijn shortlist voor beste albums van 2017 gekregen. Helaas, dat zit er niet in. Een eervolle vermelding hier op WoNoBloG wel, waarvan akte. Het is al weer bijna drie jaar geleden dat ik voor het eerst kennis maakte met de muziek van Timber Timbre. Ook bij beluistering van de nieuw plaat van Timber Timbre duiken deze namen op, maar Sincerely, Future Pollution klinkt duidelijk anders dan zijn voorganger. Dat ligt vooral aan de instrumentatie, waarin veel meer gebruik wordt gemaakt van synths. 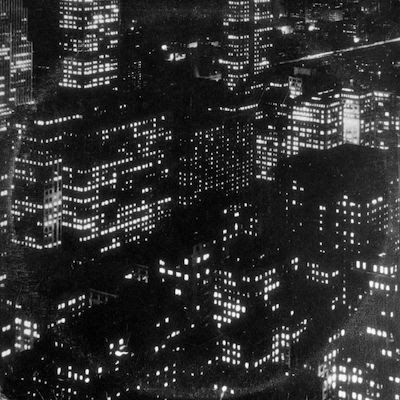 De nieuwe plaat van Timber Timbre bevat zeker op het eerste gehoor meer invloeden uit de jaren 80, maar is ook absoluut beïnvloed door de platen die David Bowie in de tweede helft van de jaren 70 maakte. De invloeden uit de muziek van David Bowie hoor je vooral wanneer Timber Timbre net iets meer experimenteert of kiest voor funky accenten. In de wat zoetere tracks met aanzwellende synths kruipt de band daarentegen dicht tegen Tindersticks aan, maar hoor ik ook nog steeds veel invloeden van Nick Cave (de vocalen), maar ook van Japan (de instrumentatie). Het steviger inzetten van synths en het ophalen van inspiratie uit de jaren 80 biedt op het moment zeker geen garantie op positieve recensies. Integendeel zelfs. Persoonlijk ben ik echter zeer te spreken over Sincerely, Future Pollution. Op haar nieuwe plaat borduurt Timber Timbre niet fantasieloos voort op de zo geslaagde vorige plaat, maar verkent het nieuwe terreinen. Het levert nog altijd bloedmooie en over het algemeen aardedonkere popliedjes op. In deze popliedjes zorgen de funky accenten voor een broeierige sfeer, terwijl de koele synths een flinke bak melancholie over de luisteraar uitstorten. In eerste instantie had ik bij beluistering van Sincerely, Future Pollution een duidelijke voorkeur voor de songs die net wat stekeliger en eigenzinniger klinken en opvallen door vervreemdende synths en stevig uithalende of freakende gitaren (vol Bowie raakvlakken), maar uiteindelijk heb ik ook zeker een zwak voor de wat minder stekelige songs op de plaat. Deze lijken bij eerste beluistering misschien aan de zoete kant, maar een duistere ondertoon is nooit ver weg. 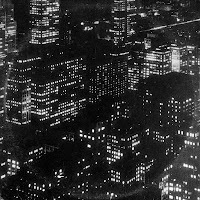 De songs van Timber Timbre zitten verder vol onderhuidse spanning en vallen op door uitstekende vocalen en een instrumentatie die je raakt, of je dat nu wilt of niet. Ook Sincerely, Future Pollution zou weer een soundtrack bij een David Lynch film kunnen zijn, maar de nieuwe plaat van de Canadese band is net zo makkelijk de plaat die Roxy Music in de jaren 80 helaas niet heeft gemaakt of een plaat van Tindersticks voorzien van heel veel extra lading en urgentie. Sincerely, Future Pollution roept tot mijn verbazing wat gemengde reacties op, want ik koesterde de plaat al bij de tweede beluistering. Sindsdien is Sincerely, Future Pollution alleen maar mooier, duisterder en indrukwekkender geworden. De avonden zijn gelukkig nog donker en een lentestorm is zeker niet uit te sluiten (op het moment van schrijven dan, Wo.). Perfecte omstandigheden voor de beluistering van deze buitengewoon intrigerende soundtrack van Timber Timbre, die wat mij betreft zijn al zo mooie voorganger op alle fronten overtreft. When the coverart is what is suggested in the name it gives an album this little extra. I am looking at a piece of art. Ablaze with light and brightness. The cover totally detonates with the music on Hymns To The Night. It totally detonates with the title of the album. The music and title are totally in sync though. We are moving back to the darkness of 1980 and to a part of the Deutsche Welle of that period. Perhaps that the threat from Russia is somewhat harder felt 680 kilometres east from my home, in Berlin. It is that town that Lea Porcelain is working from. Julien Bracht and Markus Nikolaus recorded the album in Funkhaus, the building where the state radio of the German Democratic Republic broadcasted from. Fact is the duo does not let in any light in its music. It took me a while to get used to it, in fact. But once I did, I started noticing the nicer things hidden behind the deathlike voice and dark electronics. Hymns To The Night started to come alive for me. Perhaps like denizens of the night come alive, like Count Dracula, but alive. The darkness is Joy Division and other U.K. bands of that time, while the rhythm is the U.K. eight, nine years later when The Stone Roses, The Charlatans, Happy Mondays and such broke out of Manchester and the Hacienda. With Soft Cell somewhere in between. And this fact allows Lea Porcelain to add a pop feel to some of its songs. That is the moment the light comes in through the blinds. Look for it and you'll find it. Take 'Similar Familiar'. The electronics and the rhythm are characteristically dark. The singing is trying to remain dead, but just doesn't succeed any longer. The track becomes highly danceable. It's The Cure that is taking over in the best kind of way. In 'White Noise' the mood goes totally down. Just a piano and a voice and I'm taken back 30 years to the album of another German band, Alphaville. 'White Noise' is the slower and more serene little brother of 'Sounds Like A Melody' and 'Forever Young'. Lea Porcelain is able to surprise me and has more that one tune to its whole. It not only makes the darkness bearable, it does much more. Hymns To The Night gets a deeper and a more shallow side giving it light and shade. Both type of songs become better because of it. 'A Far Away Land' has Tubeway Army darkness and melody. Deep synths play the basis, lighter sounding ones fill in the melody. Again I'm drawn in, brought back to a time when I was so much younger, yet in sync with Lea Porcelain. Perhaps more so than I ever was with Tubeway Army at the time. There is one difference, a major one. The music then remained dead as if the bomb had already fallen, this music is hedonistic, even if it sounds dead. It's vibrant with electric pulses, reanimating all the time, as if addicted to it, playing dead to get more shocks. Lea Porcelain took me a while to get used to, but once I did, I started to have a good time with Hymn To The Night. It has several sides to it that it shows in all its glory. Count Dracula may be flying in the night, he's without a chance when the people start dancing to this album. No need to fear anything any longer. With a debut album like this, the world is at your feet. At least it should be. Een keer per jaar organiseert de Stichting Popbelang Zoeterwoude een festival op een voormalig terrein van Rijkswaterstaat, verstopt tussen de A4, een watertje en de op- en afritten van de A4. In een houten keet, die de naam 'The Jammer' heeft gekregen, kunnen twee bandjes tegelijkertijd oefenen. Het zijn deze bandjes die in kunnen schrijven voor het festival en een podium krijgen om hun kunsten te laten zien. 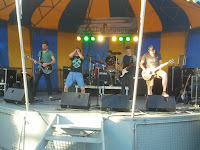 De band waar ik in speel oefent hier ook en kan zo laten zien wat wij zoal in The Jammer spelen om de dinsdagavond en dat geldt ook voor de andere bands. Als ik rond kijk wat er allemaal bij komt kijken om dit neer te zetten, dan neem ik mijn petje diep af. Een paar vrijwilligers zorgen voor een podium, het geluid wordt professioneel geregeld en catering is aanwezig en allemaal om te zorgen dat de bandjes een keer kunnen spelen voor hun familie en vrienden en een enkele zelfs voor fans. Op het terrein staat een kleurrijke tent met daarin het flinke podium, de apparatuur van binnen is naar buiten gehaald en daar omheen staan de monitors en de PA die het mogelijk maken om voor een groep mensen te spelen. Het was prachtig weer, met een stevige wind, maar niet zo warm als vorig jaar. Zet er nog een springkussen voor de kleintjes er bij en een biertap en wijnkoeling voor de groten en de juiste omstandigheden voor een leuke middag en avond zijn gecreëerd. Ik heb niet alle bands zien spelen. Bij arriveren speelde Scooter Ray, een duo dat electronica koppelt aan een gitaar. De twee nummers die ik hoorde, bevielen me eigenlijk wel en steken wat mij betreft positief af bij wat ik uit de radio hoor komen als mijn lief die aanzet. Ook van L'Amour heb ik niet veel gehoord, omdat ik aan de slag ging om de podiumtransitie zo snel mogelijk te laten verlopen. Iedere band kreeg zo'n 10 minuten om op en af te breken. Dan kan alles maar klaar zijn. Wat ik hoorde, klonk goed. 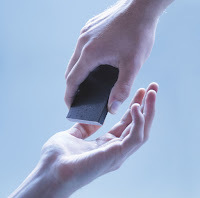 Een zangeres met een zeer doorrookte stem en een band die zeer comfortabel stond te spelen. De keuze van de muziek die richting soul, rhythm & blues met een vleugje jazz ging, was niet helemaal de mijne, maar deze band kon duidelijk spelen. Daarna waren wijzelf. Omdat we een naam nodig hadden vorig jaar, na jaren onder de naam BZNIO geoefend te hebben (Band Zonder Naam In Oprichting), kwamen we uit op Sweetwood. Bekt lekker en eert onze "standplaats", al woont niemand van ons er. Wij hebben lol gehad en mensen waardeerden onze set van covers die van Chuck Berry tot aan Klein Orkest gaan. Voor de rest moeten anderen daar over oordelen. Meisjes Op Maandag is ook een band met leden van een zekere leeftijd met drie dames vooraan, waar de lol in het samen muziek maken duidelijk ook groter is dan absolute kwaliteit. De covers die voorbij kwamen gingen van 'Take Me To The River' naar 'Love Shack' en trokken het publiek er langzaam maar zeker bij. 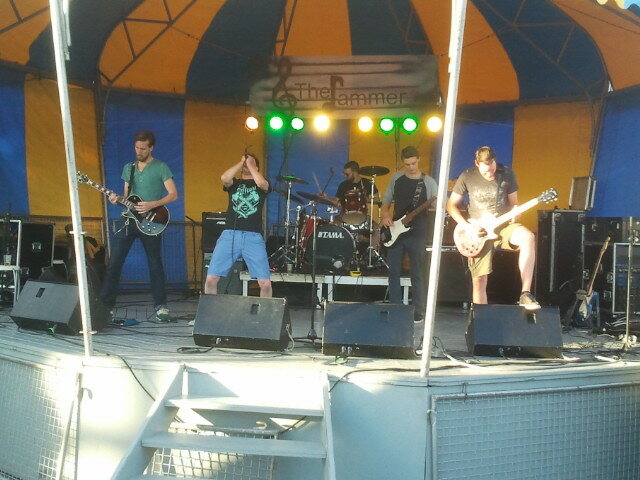 Gewoon een leuke band, met enthousiaste frontdames. Daarmee is een belangrijke factor al binnen: aandacht. Chicks On Toast was niet mijn kopje thee en een moment om het lokale grote weg restaurant aan de overkant op te zoeken. Wat ik op zich jammer vond, omdat ik wist ik daarom Sunday At 8 ging missen, een band die vorig jaar onder de naam Fort Da optrad en mij wel beviel. Na afloop van het diner toch even terug gegaan om te kijken naar de "teringherrie" die het The Jammer Popfestival zou afsluiten. Suffix speelde een fantastische set. Wat heb je nodig om door te breken?, dacht ik toen ik deze vijf jonge mannen bezig zag. Nu ken ik de zanger Paul Dekker al vanaf de puberleeftijd als hij mee kwam spelen in mijn toenmalig band, Flopsband uit Leiden. Een The Blues Brothers act met zijn vader Rens, onze zangert, samen en 'Sexbomb' op mijn akoestische gitaar. Suffix speelde de pannen van het dak met stevige metal, maar uitzonderlijk melodieus. de dingen die Paul uit zijn strot toverde, deed mijn mond af en toe open vallen. De snoeiharde riffs denderden over het terrein heen, waar inmiddels opvallende veel metal types rondliepen. "De opdracht" was speel het terrein leeg, zodat wij daarna kunnen opruimen. Die is goed mislukt. Ook wij bleven tot aan het einde. Volgend jaar opnieuw, The Jammer Popfestival. De eerste zondag van juni. Zet maar vast in de agenda.